Hey all! 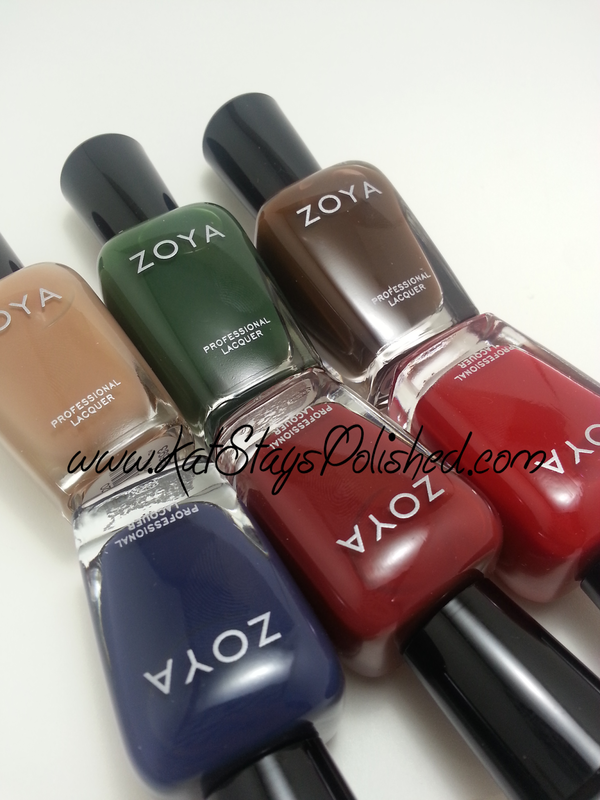 Here I have for you some seriously gorgeous cremes from Zoya called the Cashmeres. These coloors are great for Fall and invoke a feeling of coziness. All of the pictures shown are with 2 coats, no top coat. Let's not waste anymore time! This rich, creamy brown will leave you wanting all the chocolate in the world. It reminded me of chocolate syrup as I was applying it. It's perfect for the fall and sorta brings on that cozy feeling. Hunter is...well, the best hunter green. What else is there to say? 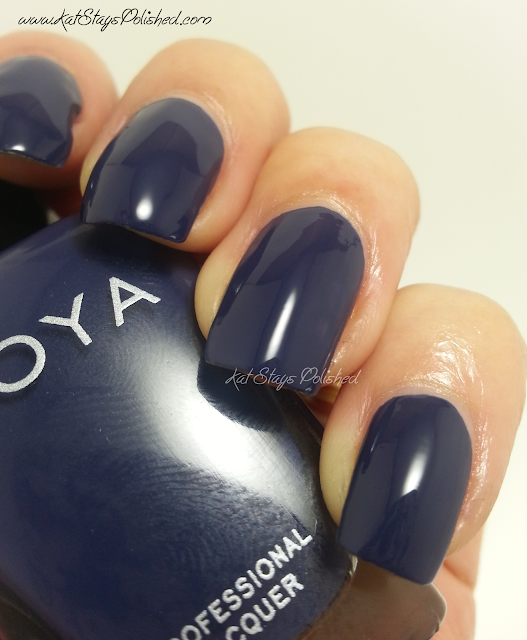 Sailor is a great dark blue mimicking a late Fall evening. Can't you just feel the brisk Fall air around the corner? 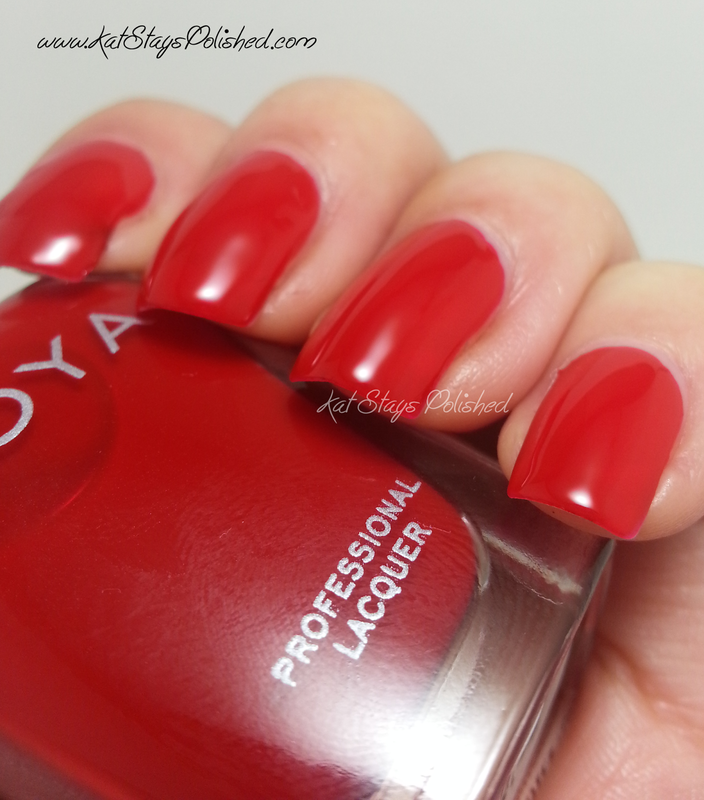 Pepper is a spicy red that you need in your polish collection. 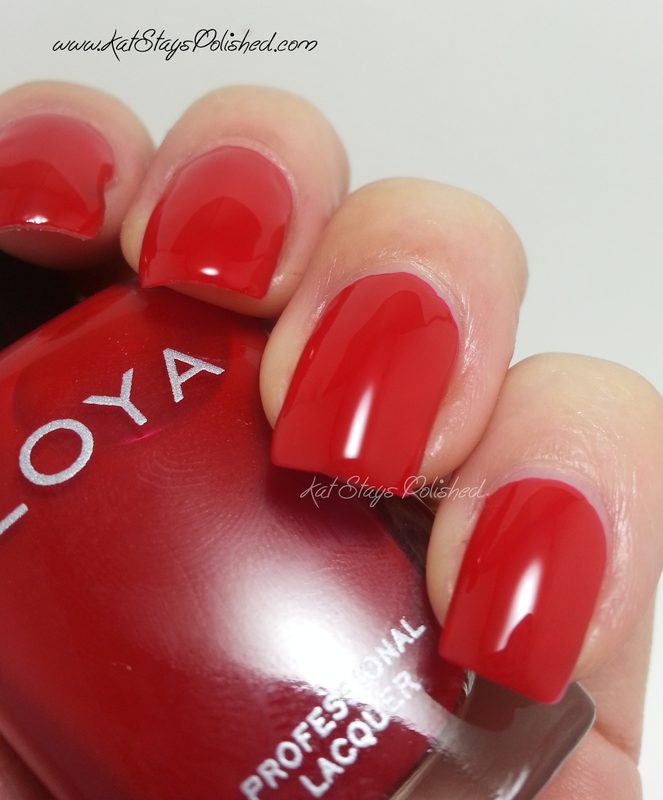 I always appreciate a red that can apply in 2 coats and not be too streaky. This is perfect. I saved the best for last! I may have found my new favorite red with Livingston. I feel like this is a crelly. It's opaque in 2 coats but you can still [barely] see the nail underneath, The formula is so smooth that, to me, it acts like a jelly. It's nice and bright and would turn any frown upside down. 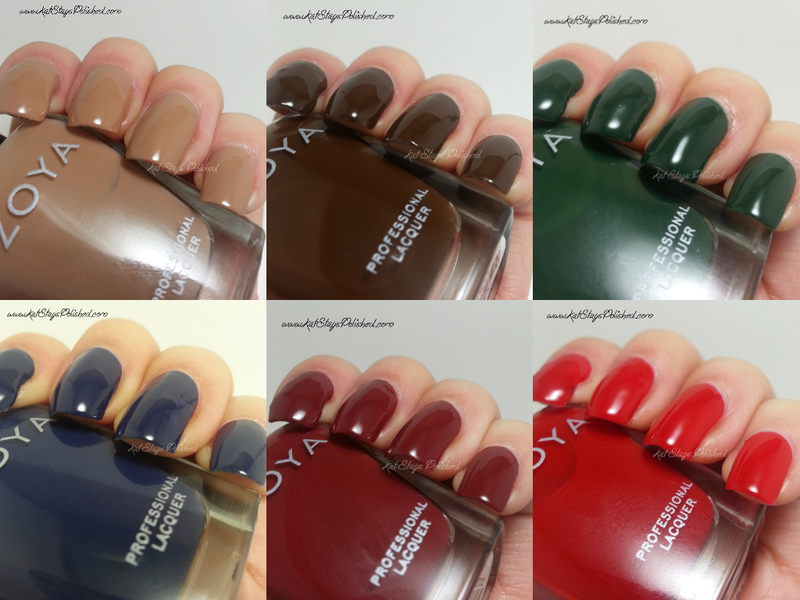 These polishes are available for purchase at $8 each or $48 for the Sampler. Are you going to pick some up? 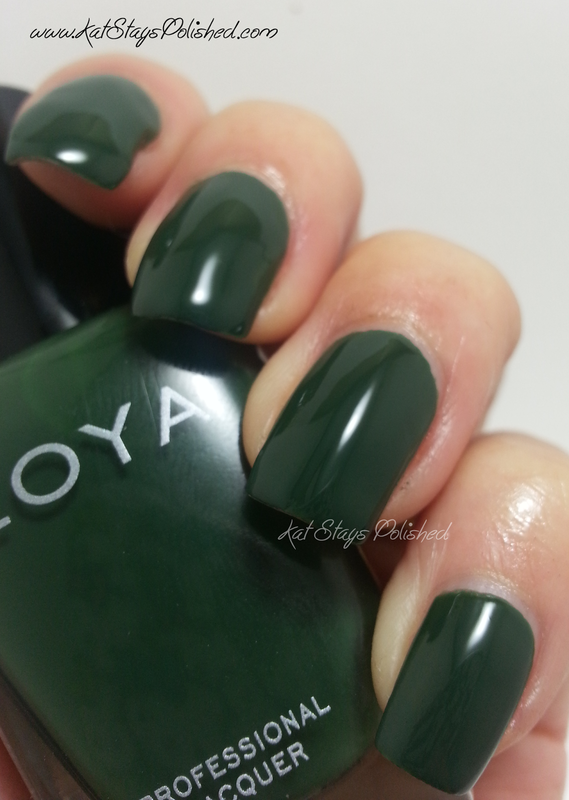 Visit Zoya.com to order yours today! Be sure to also visit Zoya on Facebook, Twitter, and Instagram! Press sample sent for honest review.. All opinions are my own. For more information, please see my disclosure policy. Kat! These swatches are FLAWLESS! Amazing job! Oh wow, the tan does make me want an iced coffee! These are all so pretty!